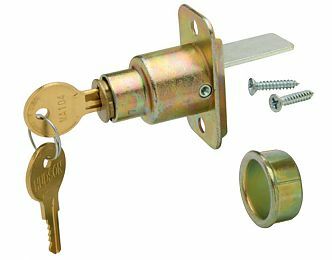 This sliding door lock is designed for easy installation and function, this closet door lock acts as a discrete privacy and security device and allows for easy sliding closet door operation. 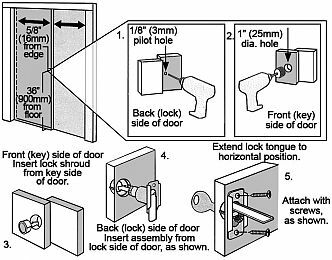 One half turn of key raises tongue and locks doors. Includes finishing ring and two keys. Note: Locks come keyed different. Note: This product is also known as STE-CD1068-US3 on other websites.